Five years ago, the wave of anger that fuelled the Arab Spring revolutions in Egypt and Tunisia crashed into Libya. After several months of fierce fighting, anti-government rebels seized control of the capital Tripoli. Colonel Muammar Gaddafi sought refuge in his birthplace of Sirte. It turned out to be the scene of his deadly demise as he was lynched under the eyes of the world’s cameras. It was in response to Gaddafi’s bloody repression against the rebels and civilian deaths, that the US, Britain and France combined to enforce a UN-backed no-fly zone. But shortly after their intervention, militia’s once united by hatred of Gaddafi’s hard-line rule divided, giving birth to anarchy. Just shy of a year on, the killing of the US ambassador and three of his colleagues in Benghazi severely shocked the western coalition and spelled the end of their presence in the country. Five years on, Libya, like many others in the region, is plagued by radical Islamist militias, locked in a bitter power-struggle with the internationally recognised government, despite two general elections. Fayez Al Sarraj, who recently visited Paris, heads the Presidency Council and is prime minister. But officially he exercises control over little outside Tripoli and the west of Libya. The east falls under the domain of the so-called Tobruk government led by former General Khalifa Haftar from the national army, while the south is run by the Tuaregs. 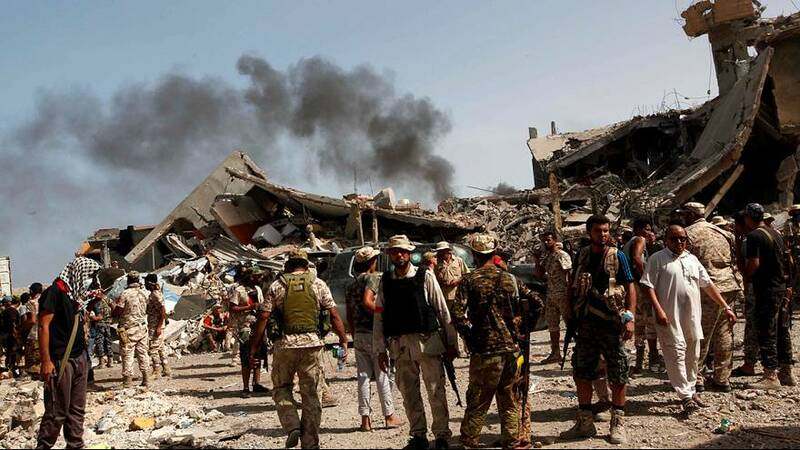 However, several other political factions have claimed their slice of Libya including the Toubou tribe; the pro-Tripoli government militia Farj Libya rules the west while Islamic State militants maintain control of a small but significant strips in the north. Various deals and settlements have been signed but none respected with the differing factions and political groups split over the latest unity government in Tripoli. Even Sarraj’s nomination as prime minister was widely seen as a compromise as he’s not affiliated to any group. By contrast, Haftar, now a field marshal, has succeeded in slowly gaining military ground. Forces under his command have taken control of Libya’s main oil installations. He’s also been effective on the diplomatic front by persuading many army commanders and militia leaders to support his campaign – but his wider appeal remains limited because he was once a prominent figure in Gaddafi’s regime until he was exiled after falling out with the former dictator. Today, life in Libya for many ordinary people remains racked with violence. The country’s economy is in tatters and crucial services, like hospitals are struggling to provide care and assistance. The chaos has largely contributed to Europe’s migrant crisis and left western leaders to ponder over a failure to prepare for Gaddafi’s demise.